Irving, Washington (1783-1859) illus. 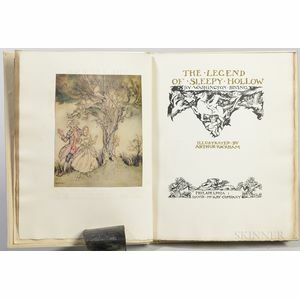 Arthur Rackham (1867-1939) The Legend of Sleepy Hollow, Signed Limited Edition. 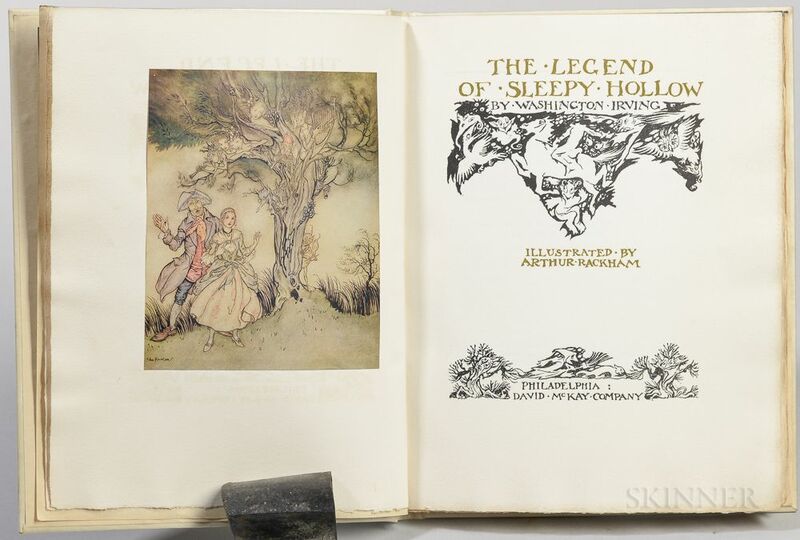 Philadelphia: David McKay Co., . Large quarto, copy number 55 of 125 printed of the American issue, bound in full publisher's parchment over boards, gilt-titled front board and spine, in publisher's original box, 10 1/8 x 8 in.